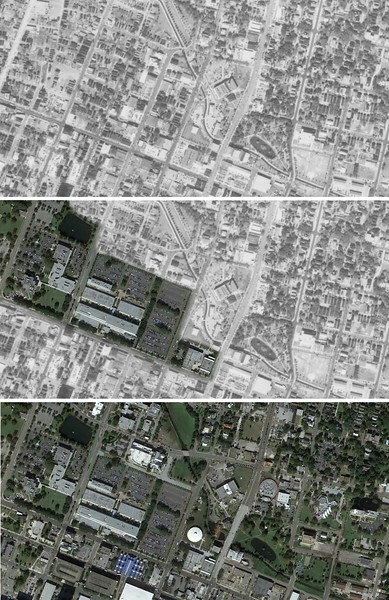 A brief visual glimpse of the evolution of select neighborhoods throughout Jacksonville. In 1876, Florida’s first state fairgrounds were established near the second paved road in Duval County. 1880, the fair’s popularity led to the City of Fairfield was incorporated as a suburb of Jacksonville. Fairfield was annexed into Jacksonville seven years later. In 1918, Fairfield’s waterfront was utilized by the US Government Emergency Fleet Corporation’s (EFC) attempt to develop concrete ships for World War I. Between 1918 and 1921, Toldedo-based firm A. (Anderton) Bentley & Sons built and launched 7,500-ton concrete tankers for the war effort. After the cancellation of the ship program, the north portion of the site was sold to Henry Ford, who built Jacksonville’s Ford Motor Company Assembly plant along the St. Johns River. At its height, the plant employed 800 workers producing 200 Model A cars a day. 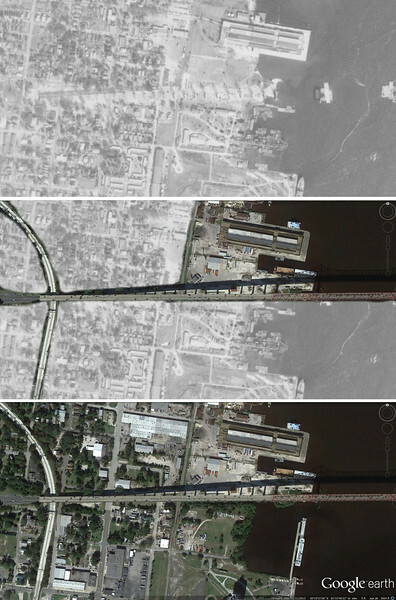 In 1953, the Fairfield was permanently divided with the construction of the Mathews Bridge. Between 1940 and roughly 1955, Grand Park was a circular public space built around Lake Juanita in Northwest Jacksonville. By 1965, the park had been relocated two blocks north to a larger space. In 2005, the relocated Grand Park was renamed in honor of Johnnie W. Walker, the former president of the Grand Park and Brooklyn Community Associations. Over time, Lake Juanita has disappeared and the Jacksonville Fire and Rescue Fire Station 7 occupies the original park space. The original settlement of Hansontown was the brainchild of Daniel Dustin Hanson. Hanson, a surgeon with the 34th Regiment, U.S. Colored Infantry, acquired a large tract of land northwest of Jacksonville in 1866. His intentions were to develop the property into a communal farming community for black Civil War veterans and freed slaves. Here, they would grow and sell crops, allowing them to pool their earnings towards land purchases. Due to his death in 1868, Hanson’s visions did fully materialize but the community, characterized by a divergent street grid, did attract residents. Hansontown’s days were numbered by the time World War II came around. From its start, it had developed as a working class community for African-Americans. In segregated Jacksonville, its unpaved streets and frame shotgun houses were considered the slums. It quickly became an easy target for the city’s early urban renewal programs. In 1974, plans were cemented to replace a large 10-block section of the neighborhood with Florida State College of Jacksonville’s (FSCJ) downtown campus. To clear a path, Hansontown’s residents were relocated and the neighborhood’s street grid was erased. Utilizing 21-acres acquired with local and federal urban renewal funds, the $11 million downtown campus was officially dedicated on August 15, 1977. 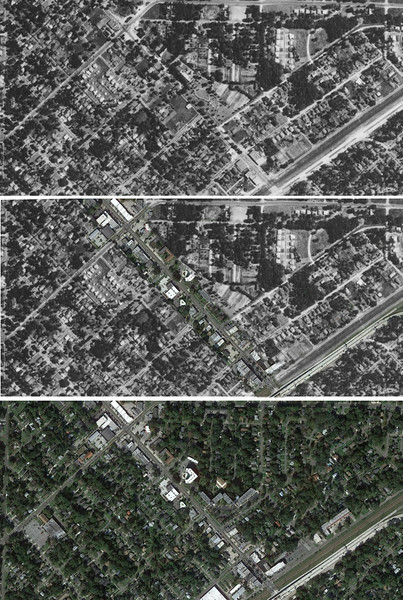 By the time Roosevelt Boulevard was completed in 1950, the suburb of Murray Hill had already been annexed into Jacksonville. 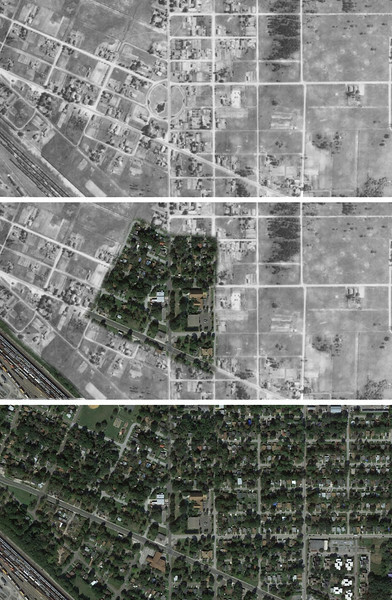 In the early 1960s, Roosevelt was converted into the Roosevelt Expressway (built to partial freeway standards) north of Blanding Boulevard, to serve as a spur of Interstate 10 bypassing the Riverside-Avondale historic district.